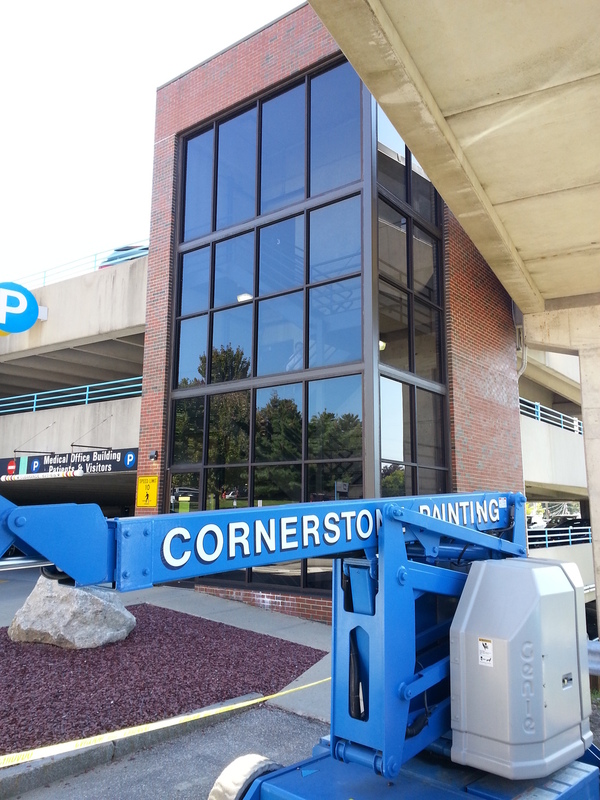 Blog — Cornerstone Painting Contractors, Inc. Learn more about our company, it's services, and the customers who have come to trust Cornerstone Painting Contractors as their preferred painting contractor. Here we'll post updates on current projects, news from around the industry, and other things happening at our company. Each year, Cornerstone is tasked with freshening up the look and feel of several complexes with the Villages at Granite Hill, which is overseen by a property management company called Cedar Management located nearby. This year Cornerstone was awarded buildings in Devon, Tweed, and Windsor. Each of which is a different style of complex. The process for completing these units is to pressure wash to remove mold and mildew, prep involves scraping any loose and peeling paint, spot priming, and caulking where necessary. Then our painters will bag off all of the openings and spray on the body paint. Once that is complete, they can go back and paint the trim and sash, and stain the outside decks. Unlike other complexes we did this summer, Devon consists of two unit cape style townhouses - each of which are similar in nature - with a few exterior differences between some of the units. As you might be able to see from the pictures, there are two body colors - an upper and a lower, plus the trim and sash colors, and of course, each unit includes a front and back wood deck - while most of the units don't. This building is one of several in Tweed, but it is the only building that isn't vying sided. You may not notice it, but the color on this building is vastly different than the other within the complex. As you can see, this is a four unit town house style building. There is only one color for the body and trim, but the doors do have their own distinct blue color. In Windsor we again see the three to four unit townhouse style buildings. They have a different color schene than the one in Tweed, but similar products are used to complete these products. Most every unit in Granite Hill has a back deck that is stained at the same time the building is freshened up. Cornerstone is currently in the process of completing a project for one of our customers the Dartmouth Hitchcock Health System, through a local general contractor, Pidela Corp, who overseeing an overall renovation at this satellite facility. Our part in this renovation is essentially to change over from wallpaper to paint on their interior walls. Over the past few years we have seen a shift in the healthcare industry where facilities are increasingly changing out their wallpaper to painted walls. This changeover has to do with infection control in the healthcare environment - something our company has experience and training in as members of our staff and management team have attended and completed the Association of Healthcare Facility Engineer's training on Health Care Facility Management and Construction: Infection Prevention. Changing over from wallpaper to paint is a somewhat challenging process. When you remove the wallpaper the glue that was used during installation remains on the wall. Therefore it's necessary to seal in the glue using a clear bonding primer. We use a product called AllPrime, which is manufactured by Zinzer. This product is rolled on the walls just like you would roll on paint. Once you have covered the walls with this product, you are ready to skim coat. Skim coating is essentially the process of applying a later of mud to a rough or damaged wall or ceiling to either smooth or repair it. In this case, this process is done (3) three times, or (3) three layers. After you have sanded the walls you are ready to prime and paint. This project is currently on-going. More pictures will be made available soon. Cornerstone is currently looking to expand our staff to meet the needs of our growing and diverse customer base here in New Hampshire and in parts of Massachusetts. On an almost daily basis, our company receives phone calls or email inquiries from new and interested customers regarding our services.Whether its because of our extensive list of previous customers, or the specialty services we provide, we are being called upon more and more to be a resource to companies throughout the region. With many of our customers being commercial and/or industrial in nature, we offer a professional and unique working environment that is both exciting and challenging. Unlike your typical residential project, our painters have the opportunity to work in areas that are different, out of the norm. Maybe that's an operating room in a local hospital, or the boiler room at a local manufacturing plant. 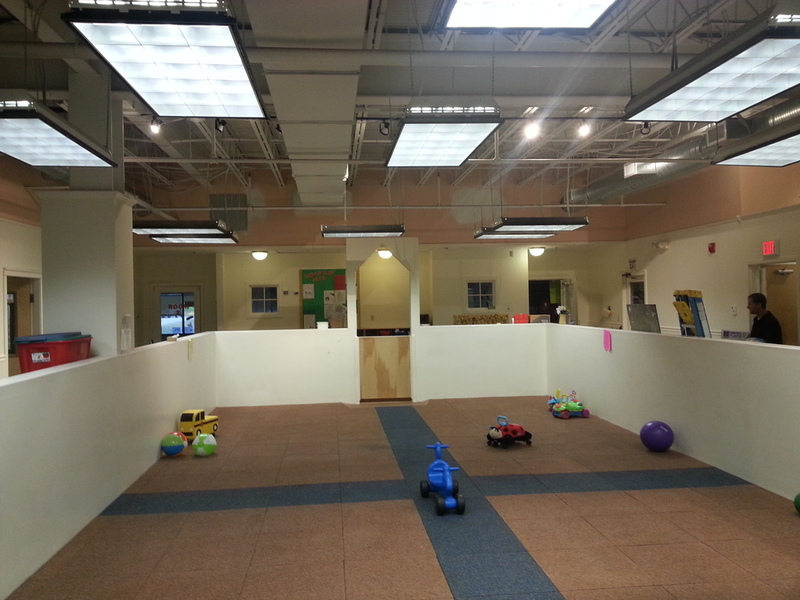 We have even completed projects like the Redstone Rocket, located in the small town of Warren, NH. We offer our painters competitive wages, and have never missed a payroll. Unfortunately, many companies and painters offer the world and don't deliver. We are up front with our staff and try our best to develop a mutual trust. We believe if you work hard and want to grow in your position - you should and will be given that opportunity. Many of our painters have started at the "bottom" and have worked their way up to supervisory roles. Requirements: Candidates must have a valid driver's license, reliable transportation, your own tools and equipment, and applicable experience to qualify. To submit an application, please click the link below or contact our office at 603-669-0223. We look forward to meeting you and discussing the many opportunities that await you here at our company. Cornerstone recently completed an interior project for a family in Manchester, New Hampshire. The family had been referred to our company by Home Innovations Corp, a home design and remodeling company who had recently completed a remodel for the family. The scope of the work completed for this interior was to prep and paint all walls, doors, windows, and trim on the first floor of the residence, as well as the walls, doors, windows, and trim in the newly renovated basement. 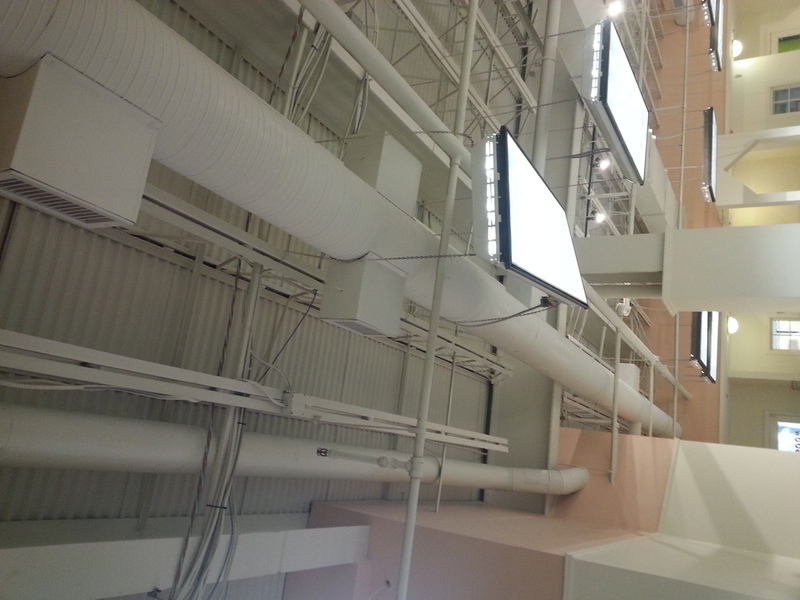 This project was staffed by 3-4 painters and was completed in a little less than a week. Here are some of the after pictures taken on the final day of the project. St. Ann's Home and School, a local residential school for adolescents who suffer from emotional and/or behavioral challenges, has been a customer of Cornerstone's for almost 14 years. Recently, the head of their maintenance department called Cornerstone as they were interested in an estimate for sanding and re-coating the mahogany on one of their buildings. This isn't the first time Cornerstone has completed this project. In fact, this is the 3rd. The head of maintenance has this one a semi-regular maintenance schedule to ensure it looks nice and fresh year after year. Because several of the areas were quite high, Cornerstone rented an aerial lift from a local vendor to reach those areas that might be difficult by ladder. Utilizing an aerial lift like one one we did also helps to maximize the time and efficiency of our painter as well. The process for completing this project was to sand and re-coat the mahogany two (2) coats of a product called Mixwax Indoor/Outdoor Helmsman Spar Urethane. More on this product can be found here. GE Aviation, a subsidiary of General Electric, is among the top aircraft engine supplies, and offers engines for the majority of commercial aircraft. GE Aviation is part of the General Electric conglomerate, which is one of the world's largest corporations, and Cornerstone was recently contacted about several interior projects at their manufacturing plant located in the town of Hooksett, New Hampshire. Most of the projects currently being completed are on the interior of the plant. Like with many of our other customers, our painting crew was required to attend a safety training prior to working inside the plant. Our crew was familiar with many of the procedures that are required within the plant, i.e wearing steel toed boots, protective eye equipment, ladder safety, etc. Cornerstone looks forward to a long working relationship with the facilities department at GE Aviation, as we believe our company will become an important resource to them through the services we provide. Due to GE Aviation policies, we are unable to take pictures of the work we did within the GE manufacturing facilities. However, we will still write about various projects we complete in upcoming blog posts. The Elliot Health System, compromised of Elliot Hospital, Elliot at River’s Edge, Elliot in Londonderry, and numerous other satellite offices throughout southern New Hampshire, has been a customer of Cornerstone’s for more than a year now. Elliot Health System, as described on their website, is the largest provider of comprehensive services in the southern New Hampshire region, and Cornerstone has been a resource to the facilities department for more than a year now. Over the past year, Cornerstone has completed a variety of projects at several of their locations, include projects at the Elliot main campus, Elliot medical office building near the hospital, Elliot in Raymond, Amherst, and Londonderry, and the Elliot at River's Edge. These projects have ranged from the removal of wallcovering, skim coating, and painting walls in office settings, to painting corridors throughout the hospital, and from painting areas within the kitchen, wound center, pharmacy, and operating department. Other projects have included painting in parking garages, the exteriors to the parking garages, the plates outside Elliot at River's Edge, and the bollards, handrails, and gas houses at the main campus. 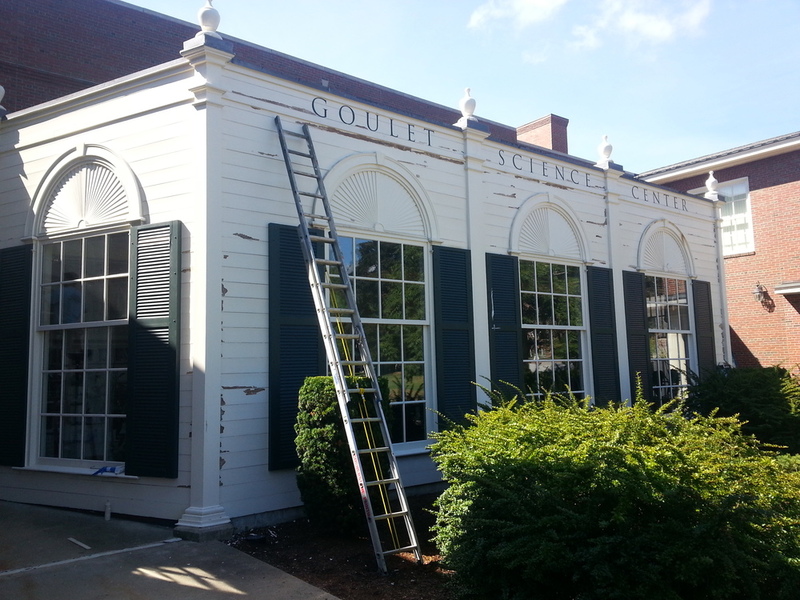 This week, Cornerstone completed a project for a local non-profit organization in Concord, New Hampshire. This particular non-profit organization is affiliated with one of our long-time customers, Concord Hospital. The non-profit reached out because areas within their building needed some re-refreshing, and after providing them a quote, in which they accepted, we scheduled the project to be completed. The project spanned all three floors of the building. Common areas, hallways, several elevator lobbys, and the stairwells were painted. A crew of 4 painters took a total of 2 days to paint the areas that were agreed upon in the estimate. After the project was complete, the CFO of the organization said she was extremely pleased with how everything looked and would highly recommend our company to anyone she may come into contact with. Recently the facilities department at Elliot Hospital in Manchester, NH reached out to our company regarding several exterior projects that had. One of the projects in particular was re-painting fifty (50) safety bollards located along the perimeter of the Elliot main campus. The process for re-painting these bollards was to sand each one and prime any rusted areas using a rust inhibiting metal primer. Rust No More, manufactured by Imperial, is the primer of choice for our company. Earlier this month, Cornerstone received a telephone call from one of the local construction companies we work for. 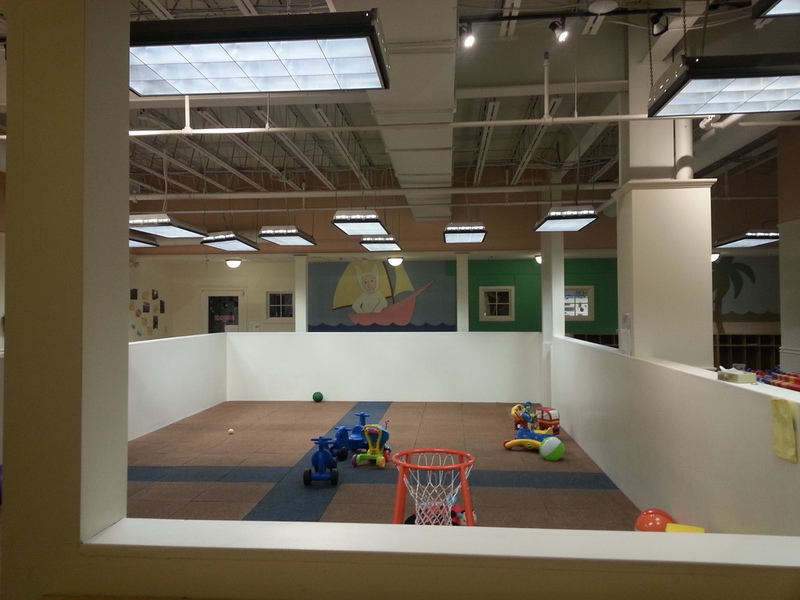 C.E Cyr Construction, a family owned and operated company located in Methuen, MA, was in need of an estimate for an interior project for the new Head Start location in Lowell, MA. 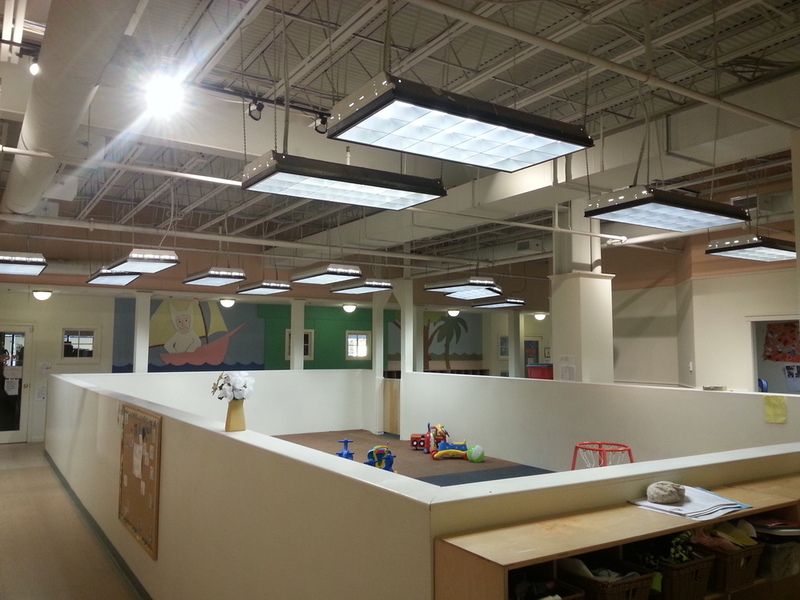 The project was an interior fit up and Cornerstone was tasked with painting the walls and ceilings, as well as some duct work along the ceiling. 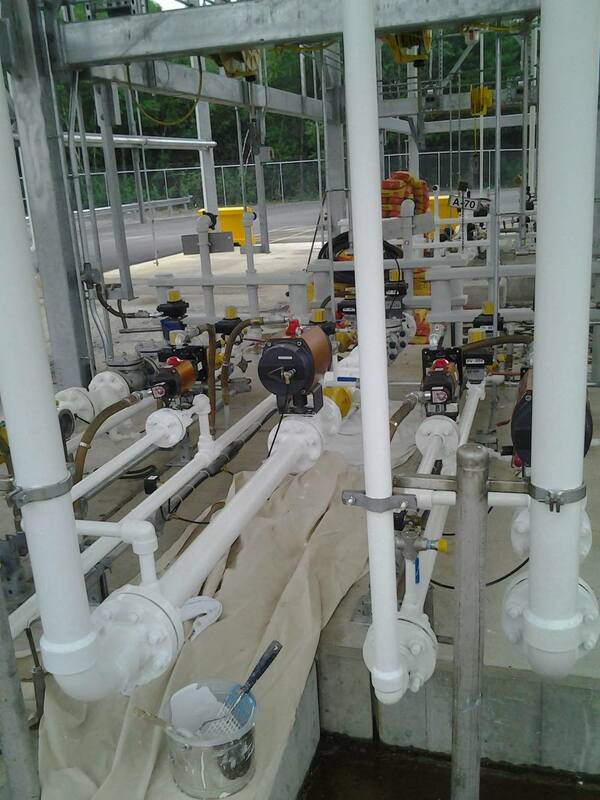 It happened to be a time sensitive project and required that our team perform the work over the weekend. The process we used to complete this project was standard. The new drywall (walls and ceilings) received a coat of drywall primer, then two (2) coats of a satin gloss latex paint on the walls and one (1) coat of a flat white paint on the ceilings. 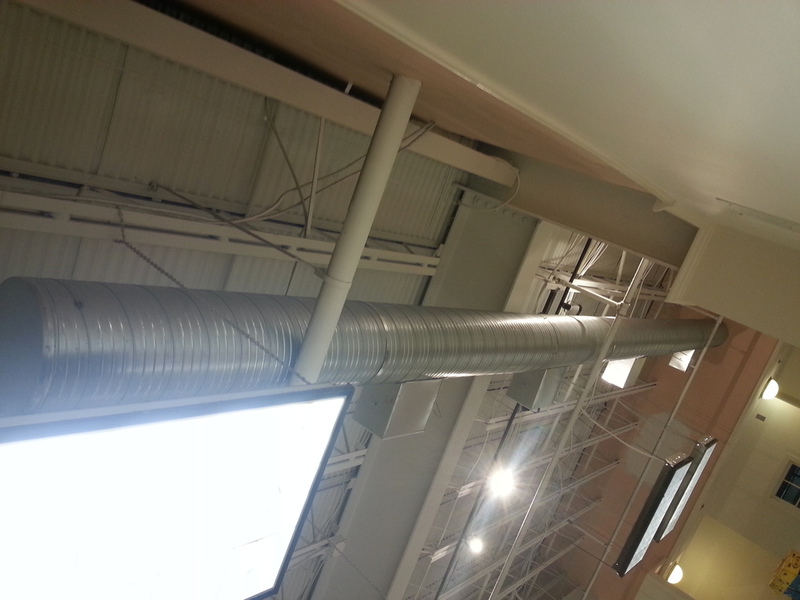 The duct work required a coat of latex bonding primer, and two (2) coats of a flat white latex paint. Here are a few of the before and after pictures from the project. Most famously known for their men's razors, The Gillette Company, now merged with Proctor and Gamble, is a leading world-wide manufacturer in a variety of consumer products including grooming, batteries, and oral hygiene. With more than 60 manufacturing plants in 27 countries, and sales in over 200 countries, the Gillette brand has become one of the most recognizable brands in the entire world. Their headquarters is located in the south part of Boston, Massachusetts, and they also currently operate a manufacturing plant in Andover, Massachusetts. Cornerstone, which has worked for the Gillette Company (now P&G) for the last 13 years, has completed projects in both Andover and South Boston. Cornerstone has established relationships with countless plant employees, all of which have come to trust and respect us for the exceptional services we provide. Most of the projects that we complete for Gillette are unique and require a special set of skill and most often, specialty products. These projects have included painting a 1 ton roof hoist on the top of one of their buildings, piping and other steel structures, magnetic walls, as well as etching and painting lines on their warehouse floors. 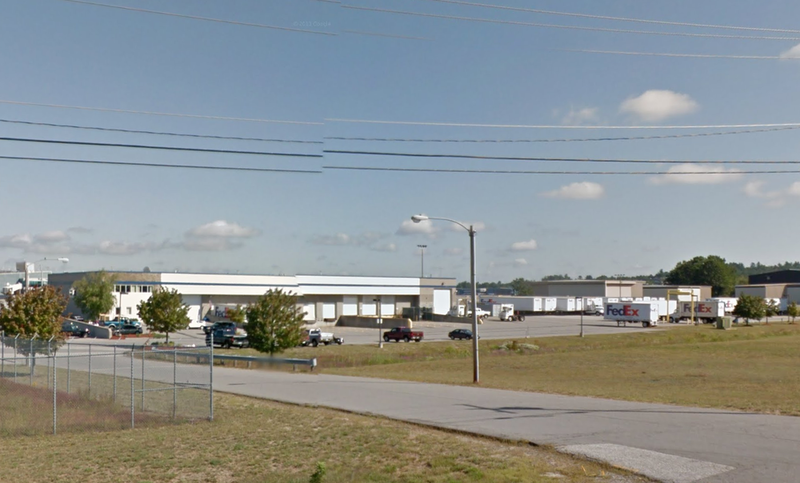 Walmart, the largest retailer in the country, has 42 regional distribution centers. According to their website, each distribution center has over 1 million square feet of space, with more than 12 miles of conveyors belts to move 5.5 billion cases of merchandise. Cornerstone, through a local flooring company, recently had the opportunity to complete an interior project at the regional distribution center in Raymond, New Hampshire. Prior to starting this project, our staff were required to attend a one hour safety training. This training was specific to working on at the Walmart distribution center, and is only a supplement to the trainings our staff receive upon hire. This particular project included two employee break rooms that had undergone a total renovation. Our painters were tasked with painting the interior walls, doors, frames, and windows in these rooms. Pro-Mar 200 in an Eggshell was used on the walls. All Surface Enamel was used on the doors, trim, and windows. Safety matters. Whether it's a commercial or residential project, it's important for us to keep in mind the personal health, safety, and well-being of our employees, as well as our customers. That is why we have implemented policies and procedures that do just that. Employees receive an overall orientation of our safety policies upon hire, and also are given our safety manual. Each employee who is given the orientation and manual are responsible to learn these protocols and are encouraged to develop a continuing concern for the safety of themselves and others. They do this by making it a matter of personal commitment. Supervisors have a role in ensuring themselves and those under them follow these procedures and have a responsibility for hands on training. Because safety rules and regulations are always changing it's important for our supervisors and management team to stay up to date on the most current safety standards, and to then ensure our staff are as well. Because of this commitment to our safety program our customers can rest assured that our painters will arrive on their project sites fully equipped and trained to complete the tasks at hand in a safe and secure manner. This means our staff will have anything necessary and/or required for each project, i.e steel toed boots, safety glasses, hard hats, reflective vests, and if applicable, ear and/or fall protection. Topics that our staff learn in their orientation and hands-on trainings include: ladder safety, fall protection, PPE, aerial lift safety, respirator safety, and other on-going basic safety topics. Trainings that our staff go through beyond their standard safety orientation and hands-on training and receive credentials are as follows: OSHA 10, Infection Prevention in Healthcare Facilities, and Aerial Lift Operating. More than five thousand hours have been spent by our team this summer on the beautiful campus of Saint Anselm College in Manchester, New Hampshire. 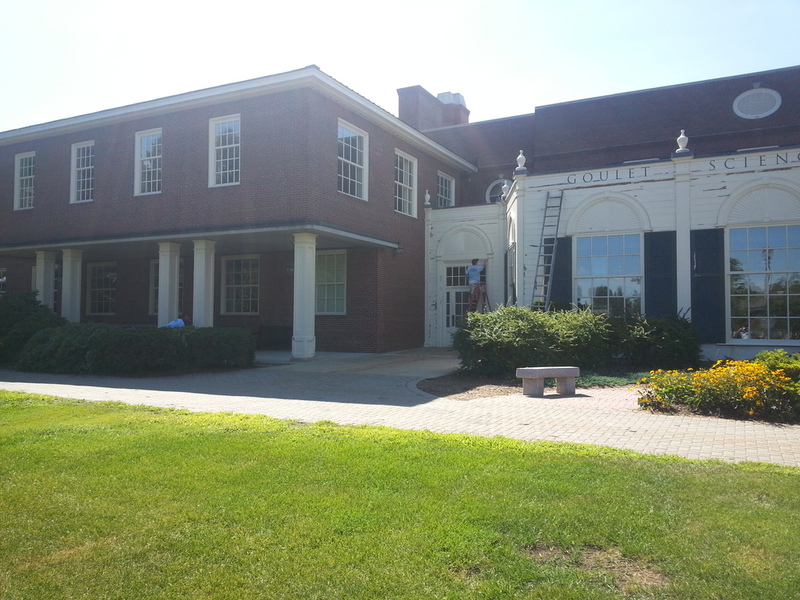 From the re-painting of student dorm rooms and common areas, to the exterior pressure washing and painting of several buildings on campus, our team has helped the facilities department prepare the Saint Anselm campus for the upcoming year. Saint Anselm has a long, and rich history of providing higher education. Founded in 1889 by the world's oldest religious order, the Benedictines - a Catholic order that has endured and thrived for more than 1, 500 years, according to their website. Our relationship with this prestigious institution dates back more than ten years, and we consider it to be a privilege to be part of the Saint Anselm family. In the last ten years, we have had the opportunity to work on a wide array of projects in almost every area on campus. From the Abbey Church, to the cafeteria. In dorm rooms and common areas. Even some of the athletic complexes. Most of the work is completed during the summer months, but on occasion, we provide assistance during breaks in their semester. 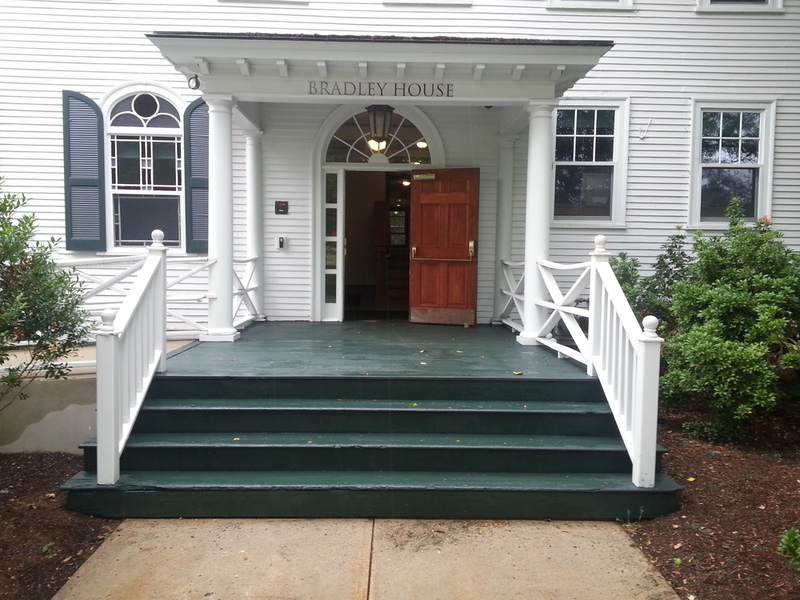 In addition to the chimneys and dorm re-paints, we have recently completed a few other projects this summer as well. Repainting the Science Building, and decks and ceilings on the Alumni Building and Joseph Hall, as well as re-painting sections of the Bradley House and pressure washing the handrails and deck there too. It has been a little more than eight years since Cornerstone first stained the front entry doors and garage doors in the rear of the building, and the condominium association board felt it was time to have them done again. That's why the property management, CP Management located in the seacoast area, contacted us to provide them with a revised quote and asked that we put these on our schedule to be completed again. Cargex Properties, as described on their website, has as its sole business the development, construction and management of sort/distribution facilities and air cargo buildings for express delivery companies. Their facilies are located throughout the United States either on or in close proximity to airports and are designed to suit the requirements of those companies involved in the time sensitive delivery of documents, packages and freight. Over the years, Cornerstone has completed a variety of projects for Angela Sullivan and Cargex Properties. 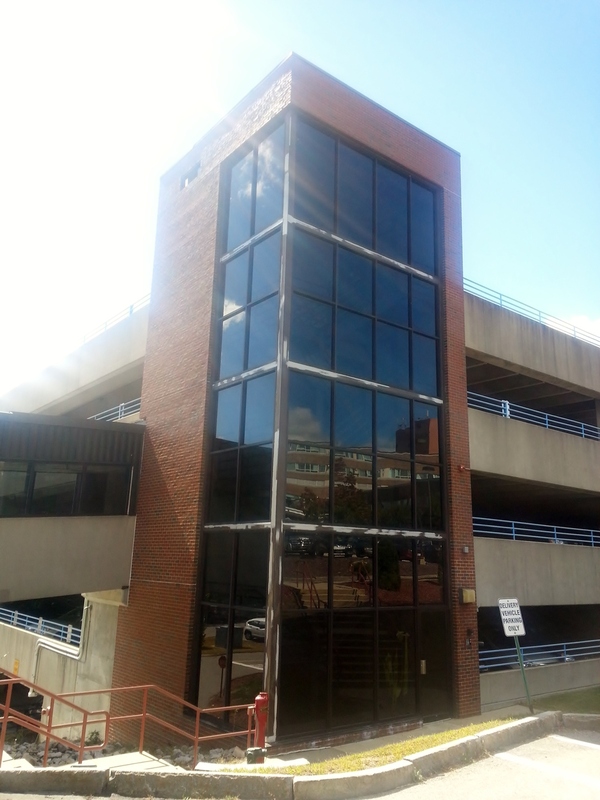 Projects have included office fit ups in the Ammon Center, as well as the painting the exterior of the building. Cornerstone also seal coated the exterior of their property at 10 Industrial Drive. With our most recent project being a fit up for a new commercial tenant they have in their Air Cargo building in Londonderry. 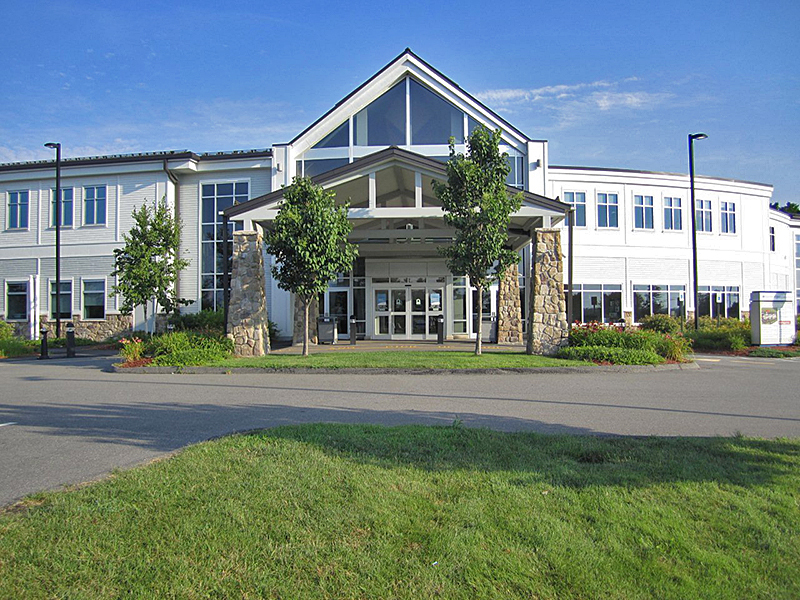 Earlier this year, Cornerstone received a phone call from a facility manager from local SAU 95, which is the Windham School District in Windham, New Hampshire. He expressed his interest in having someone come take a look at some interior projects they would need to have completed while school was out for summer break, and an appointment was scheduled with the facility manager for the following week. After meeting with the facility manager to review the size and scope of the project, Cornerstone provided the SAU with an estimate for their interior painting. Several months later we were awarded the project at Windham Middle School and preparation for this project began almost immediately. This particular project includes several areas within the school. Common areas like hallways, stairwells, boys and girl's bathrooms and locker rooms, the cafeteria and stage area, as well as a staff bathroom. Walls, along with door drames, spindles, risers, elevator doors, and handrails are a few of the items that would be painted. Due to its size and time constraints, this project involves a larger crew and will be completed over several weeks, and was started immediately. Pictures from this project to be uploaded upon completion. Several weeks ago we received a call from a gentleman at the Gillette manufacturing plant in Andover, MA regarding a small, but rather unique project. They wanted us to paint a wall outside of their cafeteria using a magnetic paint called, “Magic Wall.” Of course, it peaked our interest and we agreed to review the project. Magic Wall, manufactured by Kling Magnetics, is a system created for transforming your existing wall into a magnetic receptive surface. It is pre-mixed, lead free, waterbased latex primer, and can be top coated with the color of your color. It is made “magnetic receptive” by mixing fine non-rusting iron particles into the waterbased latex primer. The process for applying this magnetic paint is like most of paints. You can use a roller to roll it onto the wall. It required three (3) coats, applied once per day to allow for a 24 hour dry time. Then you can follow up with a standard primer, and your two (2) coats of standard paint. Once you have completed the application process, you are ready to use the wall. In the picture above, you will see that we put a magnetic on the wall. This was after the third coat of Magic Wall had been applied. The facility chose to use an off white color. 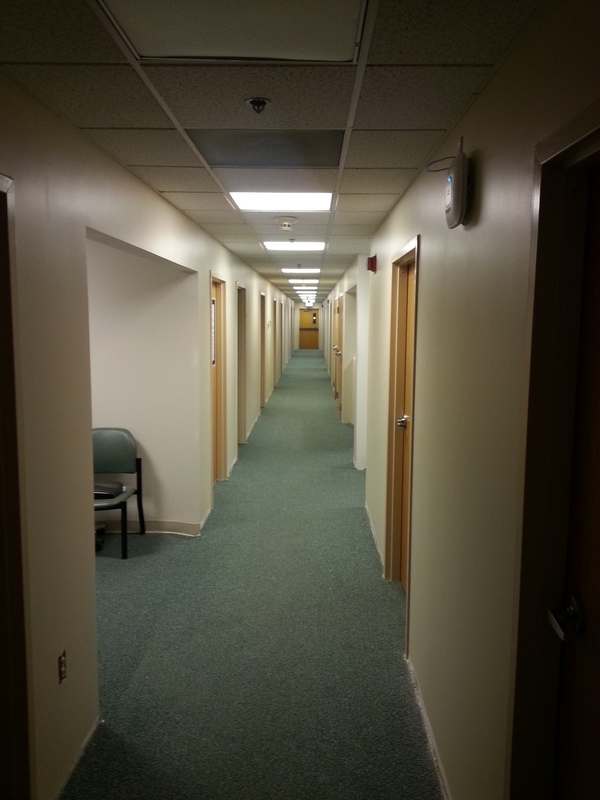 Because of our long standing relationship with Saint Anselm College, located in Manchester, New Hampshire, the facility manager for a local Catholic academy, Saint Benedict Academy, decided to reach out for an estimate to paint some of their corridors, stairwells, and bathrooms during the school’s summer break. The academy, located on Manchester’s west side, has a fascinating history. It was founded by a group of Catholic monks who first founded Saint Raphael’s Parish, and that next year, interestingly enough opened Saint Anselm College and Saint Benedict Academy at the same time. Saint Anselm has been a long time customer of ours. This particular building that we are working in was built in the 1960’s in order to meet the needs of the growing parish and school. It was also the desire of the parish to modernize their facilities. It includes numerous classrooms, and is complete with a library, cafeteria, and a gymnasium. 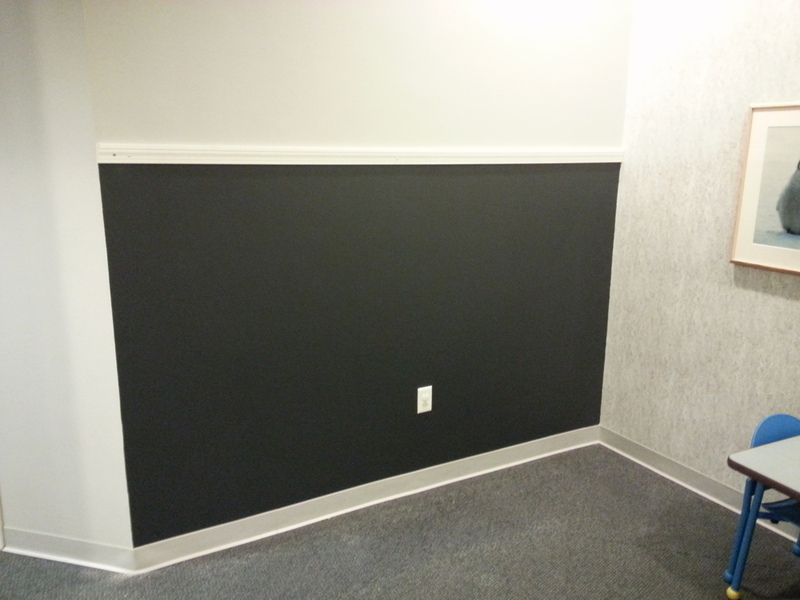 Unlike most of our standard projects, the walls in the corridors are not drywall. They are made of concrete block. 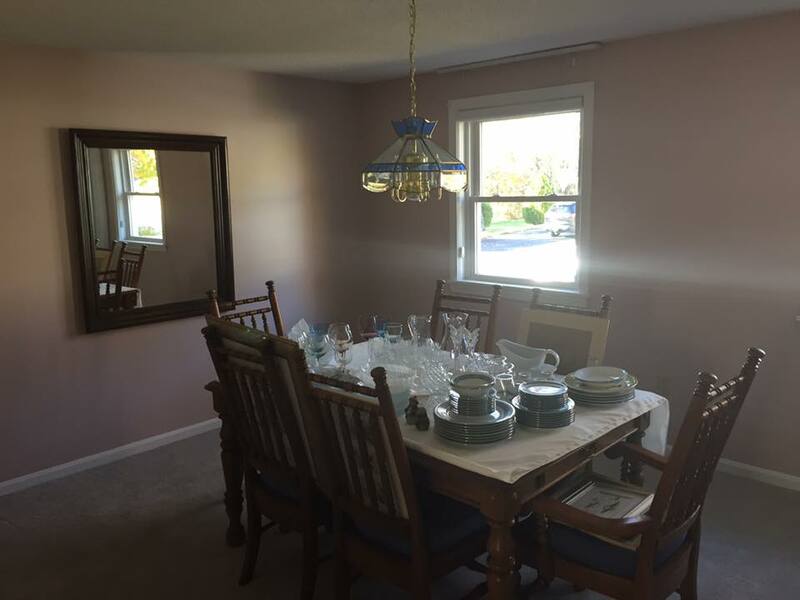 The process for preparation is to spot prime and stain kill where necessary, then we would apply two (2) coats of a semi-gloss latex paint - color is to match the current color on the walls. There is some repair work that needs to be completed prior to paint the ceilings, but again, the process is similar in preparation and application. Pictures of the hallways to be posted once complete. Over the last few decades, Cornerstone has had the opportunity to take on a variety of unique projects that your everyday painter has never done. That's why the Manchester Police Department in Manchester, New Hampshire recently contacted us to provide them with an estimate to re-paint the backstop located in their state of the art firing range, which is the only one of its kind in the state. After meeting with the firing range master and a representative from a paint manufacturer to review the project, Cornerstone was able to provide the local police department with an estimate to re-paint their backstop. It wasn't long before a "go" was issued for this project. The preparation stage, like with any project, is always crucial to ensure the customer receives the best product and/or service. Cornerstone power sanded down the rough surface of the backstop to ensure it was smooth and to get rid of any peeling paint. The next step was to wash the entire structure to remove any dirt and left over gun residue to also ensure a proper painting surface. Once the surface was properly prepared, Cornerstone applied two coats of Corotech (A Benjamin Moore company) V160, a polymide epoxy paint, which was recommended to us by the paint rep. This particular paint is a professional grade paint used in industrial and commercial settings. It has a hard scratch and impact resistant coating, which will help especially in the environment its being used for. More pictures of this project to come.